The “It’s on Us” campaign has recently announced that Manor College is one of 38 post-secondary institutions chosen to receive a state-funded grant to combat sexual assault on and off campus. Manor will receive $16,643 in state funding in order to prevent, address, and effectively respond to campus sexual assault. The college’s financial grant covers 100% of requested funding, ensuring that the school will be able to fully and proactively contribute to making the campus environment as safe as possible. The “It’s On Us PA” campaign was launched by Governor Tom Wolf in January 2016 in an effort to end sexual violence: “We must never tolerate sexual assault on our campuses or a culture that allows it,” said Wolf. 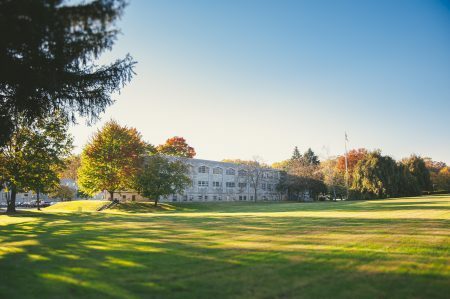 In the Pennsylvania Department of Education’s grant approval letter, the department noted that, “an estimated one in five college women and one in 20 college men” will be affected by sexual violence, the aftermath of which can affect the health and well-being of survivors, and can derail a student’s educational success. The campaign aims to provide educators and students the tools, knowledge and skills they need to prevent sexual harassment and assault. Manor College won’t just be working with current college students — the school will also be reaching out to the Jenkintown community, hosting “Real College Prep” events this spring targeted toward local high school juniors and their guardians. In this way, the school’s approach will be holistic, addressing the reality that sexual assault awareness needs to be discussed before students even set foot on campus. This program will help to better prepare current high schoolers for the world beyond graduation. The proposed program — known as the Manor Assault Protection Program — will focus on five key areas: campus-wide training and certification, institution awareness, community knowledge, increased awareness of reporting and resources, and a campus climate survey. The grant ensures that employees will be familiarized with the responsibilities of campuses as mandated reporters under Title IX. As part of the campus-wide training, employees will gain fluency in discussing topics like consent, sexual assault, stalking, and domestic violence. The launch of a Campus Climate Survey will help the college further determine whether student needs are being met. This survey, conducted anonymously, will gauge not only how students perceive the college’s response to sexual assault, but also whether they themselves have experienced it (on or off campus). The Title IX Act has been a source of constant dialogue over the past several years, and the grant will provide the funding to train an additional Title IX Coordinator, bringing the school’s Title IX team to 6 members. Finally, the grant will help Manor College further educate students about existing resources. Manor College already offers free counseling services, for example, which can be a great resource for students.